In any new residential home construction project, one will usually find the property lines well defined by fences. These are usually of wood and attractively constructed. They clearly define where one’s property begins and ends as well as giving privacy. Wood fence construction is not a complicated project. Fences appear all over the world in one type of construction or another. Due to the abundance of trees the majority are made of wood. Whether they are used to confine animals, define property lines, provide privacy or whatever they are a necessary part of civilization. Constructing a fence is like any other important project. It requires planning and precise steps to be a success. If the correct steps are not followed, the fence will not be long lasting and will be unattractive. Correct preparation is very important and fence measurements need to be taken to determine the amount of materials to buy. These materials consist of concrete, gravel, fencing boards and posts and nails or screws. In addition one will need a building permit and have a surveyed line of construction. A basic wooden fence requires that the fence posts and the corner post be set correctly. The corner post is set first and the other posts measured from there. Placing the posts 6 to 8 feet apart will assure the strength of the fence as long as it is correctly measured from the corner post. Using wood preservation on posts prior to putting them in the ground will assure they will stand up to bad weather. With the post hole digger, holes should be dug that are, at a minimum, one-third the length of the pole. A small amount of gravel, put in the bottom of the hole, will allow for drainage. To have a good-looking fence it is essential that it stand straight. This is accomplished by placing a level against the post when it is put in the ground and held there while the cement or dirt is tapped in. Once this is done, it should be braced so as to hold the position until the cement or dirt is set. Following this step the post should set for 2 or 3 days to become secure. 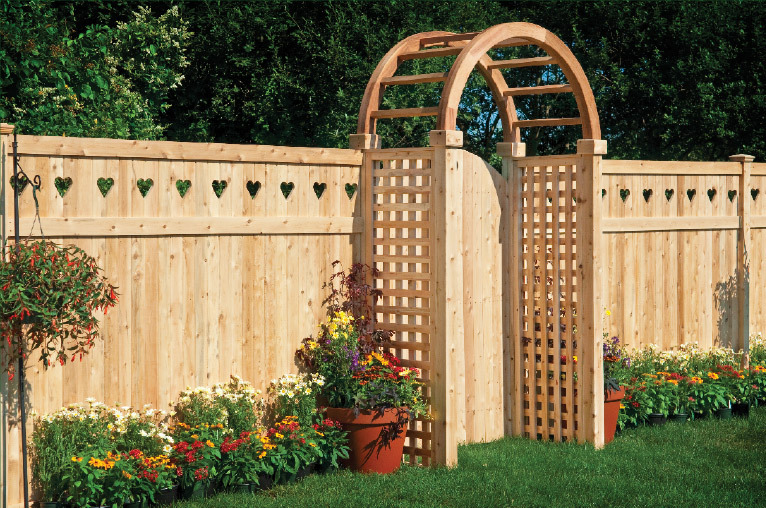 GR Construction USA is a renowned name in fence construction work. Get the best fence construction services from them.